Make Your Life a Masterpiece!! – Motivational Mantras!! All of us get only one life to live but, some make it worth remembering and some just live it. I would say, don’t just live your life but make it effective enough so that after some years from now, when you yourself will look at the life you’ve lived; it could give you a mesmerizing sensation. As I’ve mentioned in one of my older post that everyone is born with some or the other talent. We human beings are far better that what we think we are. The master move lies on how we work on our talents, our capabilities and reach at peak. It lies on how we think and create a path to reach to our goals and work so hard that nobody can stop us from getting there. There is no successful person in this world who hasn’t faced struggle in his/her entire life. But remember, the more is the struggle, the stronger you are and ultimately more successful. Despite of having a perfect plan to achieve your goals in life, never forget to miss the daily joys of life. Make your each and every day so good that every time you think of doing something, you only get positive vibes. Remember the famous quote: Every day might not be good but there is definitely something good in every day? Focus on that good moment of the day and that will make you forget all your fears and sorrows. This attitude will ultimately make you positive enough that you will eventually start spending your day with positive thoughts, positive people and doing all such things in life that are worth doing. Be it your travel plan, be it your ultimate goal in life, take is as a challenge for you where you have to ultimately reach, but with all the good deeds and creating as much good memories as you can. Whenever you plan to do something in life, just be positive enough and enjoy each and every second of the journey while going towards it. This will not only make you more passionate towards your dreams but will also enrich your soul and most importantly, it will inspire all those people around you who have a dream to fulfill in their lives. They’ll see your life as a fantastic journey where everything is going just perfect and at that moment you will realize, that this perfectness is not because everything is actually going right, but because you have decided to cherish each and every moment of your life, whether it is a challenge or a failure. Failures are the best teachers in life as they always guide you to take the best possible decision by filtering your thoughts through making you recognize all the consequences you have faced by taking wrong move earlier. Thus, when you’ll walk by analyzing each and everything and still by enjoying your journey; you’ll not only reach to your destination but also inspire a lot of souls out there and your life will ultimately be a masterpiece. 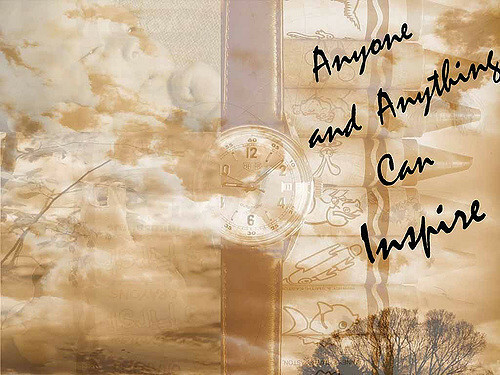 Don’t just live your life, make it inspiring enough………. Previous Sometimes It’s Best to Move On! Next Grow Through What You Go Through!